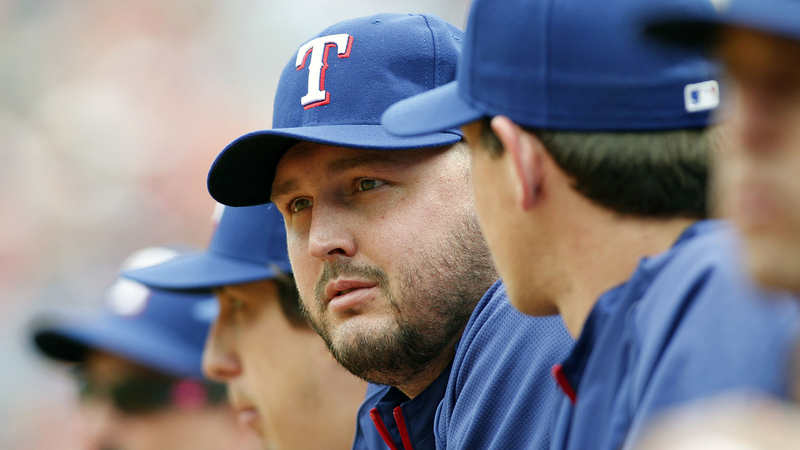 ARLINGTON, Texas — Texas Rangers left-hander Matt Harrison knows the next step for him to try and alleviate the pain in his back is to get an epidural injection Monday. After that, there are no guarantees for Harrison, who was diagnosed with spondylolisthesis following his Tuesday start in Houston. That condition, which forces a displacement in the vertebrae, doesn’t just put the season in jeopardy for Harrison. It could also mean the end of his career. That’s a lot for Harrison to digest, especially after he thought he was all the way back after having a pair of back surgeries last season. Now he has to contemplate the possibility of trying to figure out a way to pitch through the pain or having spinal fusion surgery. "It’s kind of put me in the position where either I deal with it or have the surgery and get it fused together and try to make it comeback from that," said Harrison, who has been shut down and is on the disabled list. "It’s going to be even tougher than it was the last time but I’m willing to give it a try. I’m still trying to wrap my head around what’s going on at this point in time and trying not to let it sink it that it may have been my last game." Harrison said he’s still hurting from his Tuesday start, in which he left after 1 2/3 innings against the Astros. He has pain down his leg and also weakness in the leg. It’s a far cry from where he was in 2012 when he was the team’s pitcher of the year and was rewarded with a five year, $55-million contract. He will talk with his family next week when the club goes on the road and decide what he’s going to do. "It’s a tough situation," he said. "I hate it. I’d give every dollar back to be the way I was in 2012. It’s tough to swallow the way things have gone the least year and a half." Harrison said he know about the possibility of the issue on his vertebrae last year when he had the back surgeries. The problem is that the vertebrae have continued to shift. Harrison knows that without the surgery his back won’t get any better. If he can find a way to be an effective pitcher without the surgery, he’s willing to give it a try. If not, then surgery will be the option and Harrison said he’ll try and make a comeback once again. Harrison, who is just 28, also realizes that quality of life now plays a role because of what he’s dealing with. That is also weighing on his mind. "Obviously your health is most important but I know there are guys who’ve come back before," he said. "I’m going to give that a shot if I end up having it but if I come back and things are the same or worse as they were before it’s not worth the risk. It’s really not worth me being 29 years old and not being able to walk."